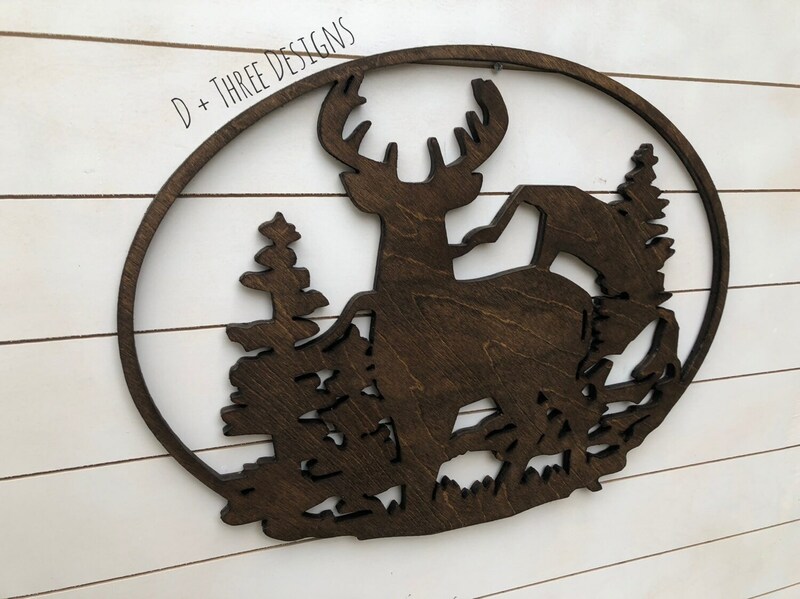 This wooden deer decor piece is approximately 22” around cut from 1/2” birch wood. 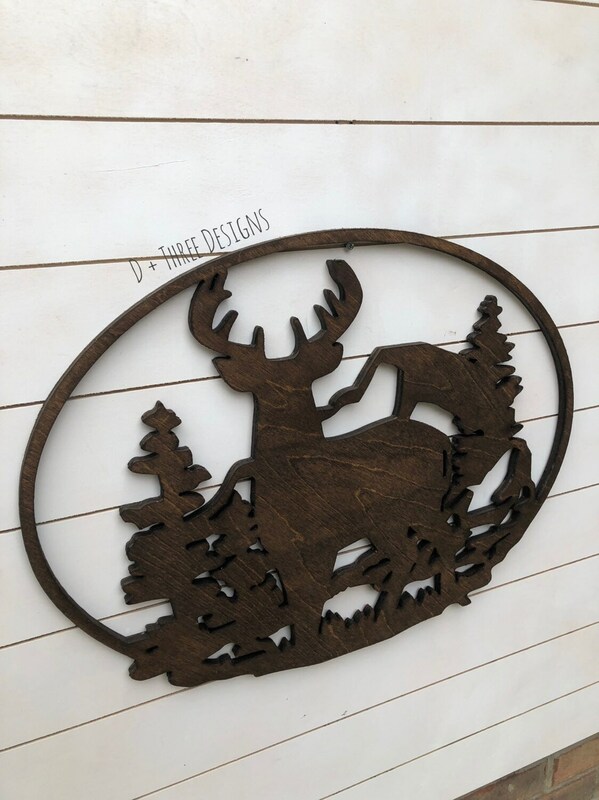 The deer decor is great cabin decor, for a hunting lodge, or just rustic decor. 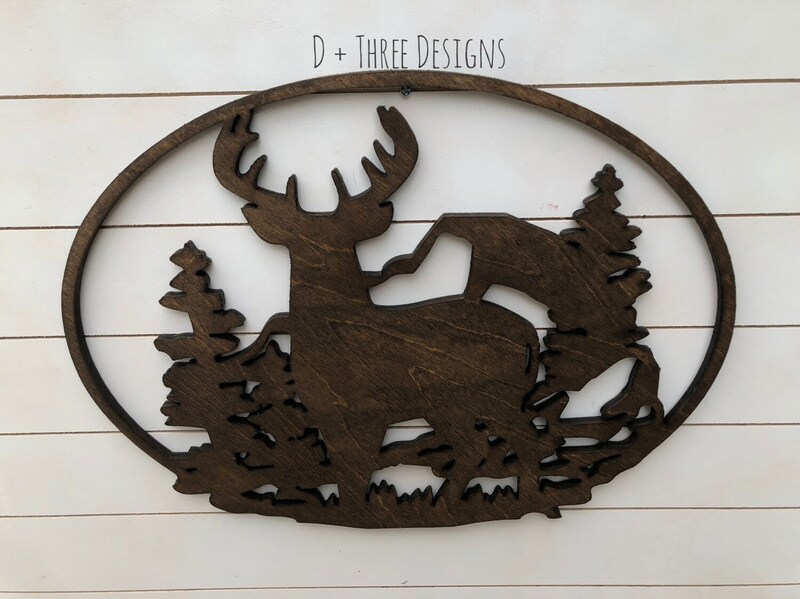 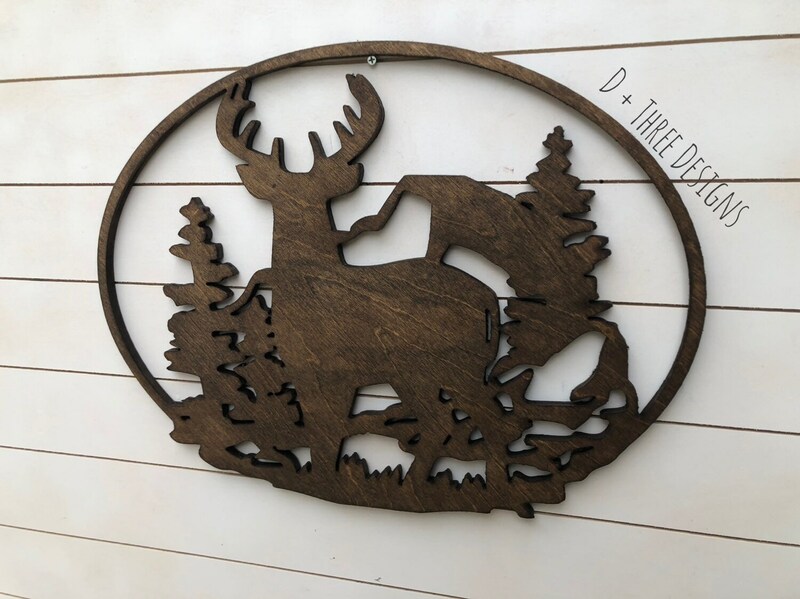 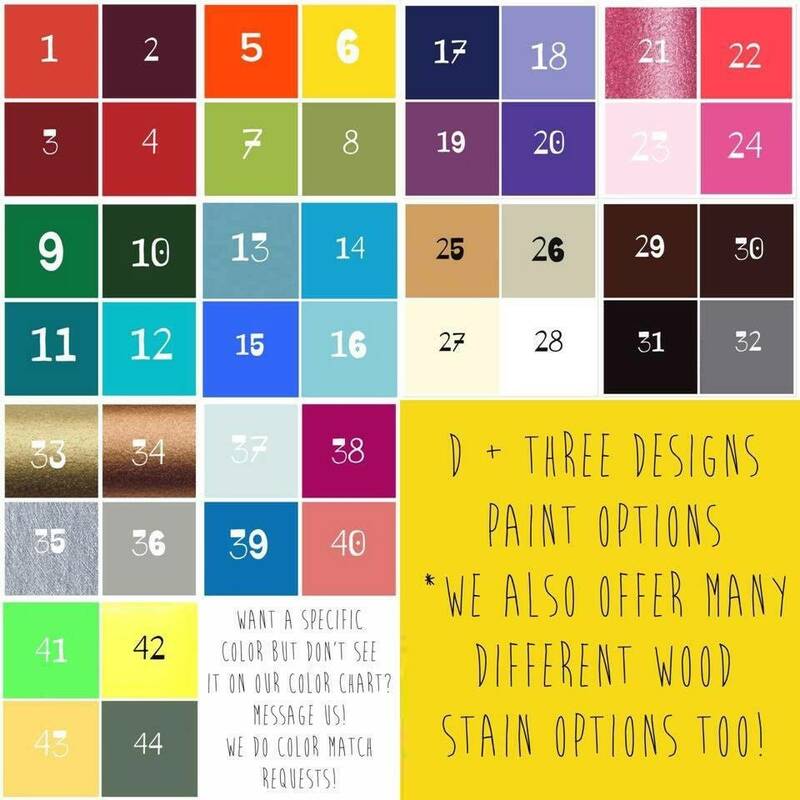 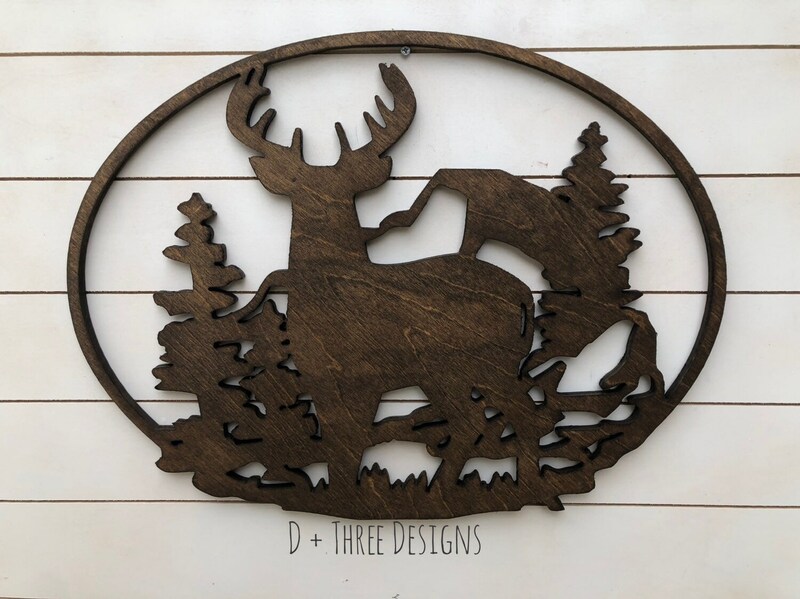 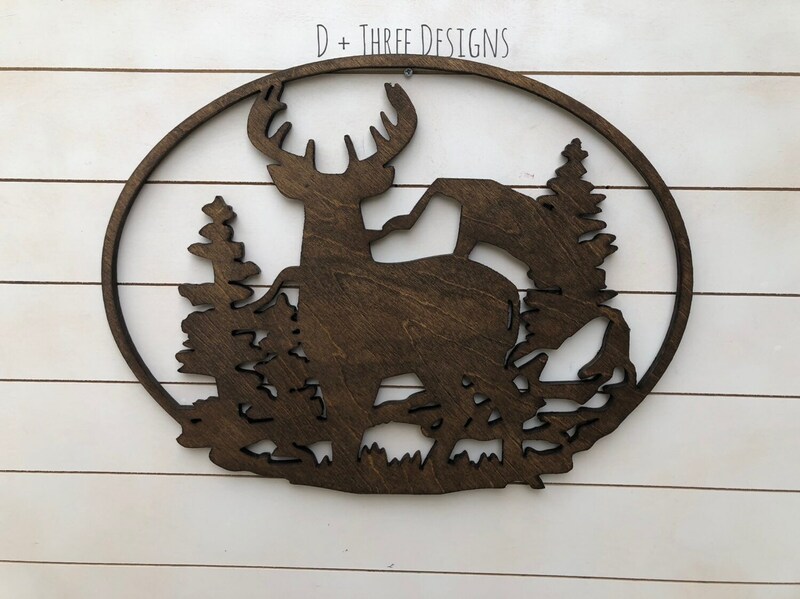 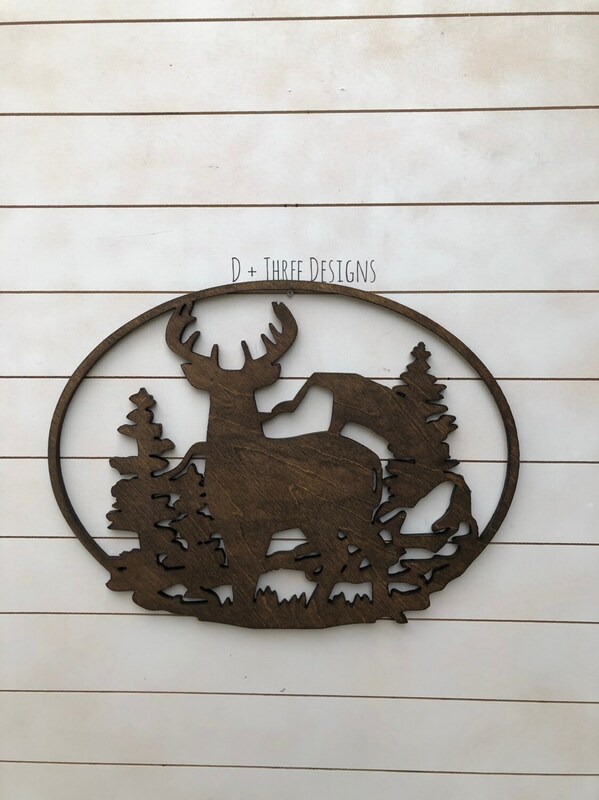 Pick the color you want your rustic deer sign and let us know whether you want it distressed or not in the Notes to Seller box at checkout.